The inaugural Rock &apos;n&apos; Roll Raleigh Marathon & ½ Marathon presented by WRAL benefiting The V Foundation for Cancer Research–a road race in Raleigh featuring 12,500 runners and 30 bands and cheerleaders lining the race course to keep energy levels through the roof. A free concert at Red Hat Amphitheater gets underway once runners start coming through the finish line. 1b. I know that – I’m running! Awesome! Welcome to Raleigh and good luck, then. 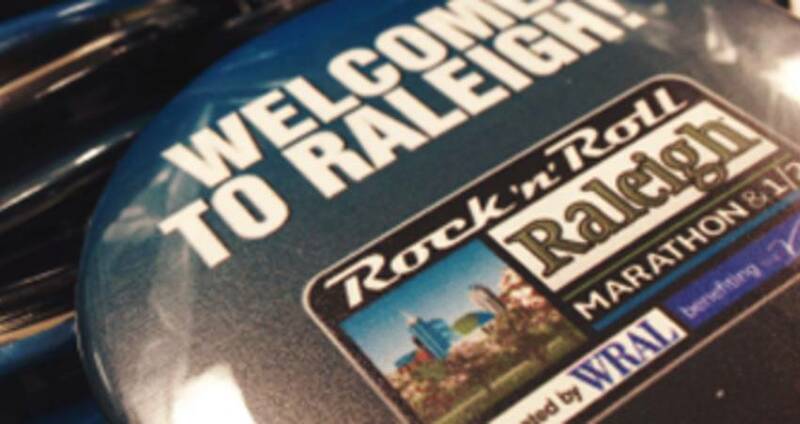 Check out visitRaleigh.com for visitor information including restaurants and attractions. Also visit the Visitor Information Center in downtown Raleigh at 500 Fayetteville St. to have a local expert answer your questions. Runners take off at 7am, and bands will play all along the course all morning. In Red Hat Amphitheater, Love Canon takes the stage at 8am. They’re a bluegrass 80s band. At 10:15am, the medals ceremony will take place to recognize the day’s top runners, and then at 10:30am the headliner band plays. New Politics, a Danish punk rock band with recent U.S. mainstream hits “Harlem” and “Tonight’ You’re Perfect” will help race finishers celebrate their accomplishments into the afternoon. Southern roots band Old Habits will take things to the end of the event, 3pm. 3b. Where can I park? You’ll find this participant and spectator parking information helpful: PARKING INFO. 4. Come out and support on Sun.–got it. Anything else? Yes! The Health and Fitness Expo will be held at the Raleigh Convention Center on Fri. from noon-6pm and Sat. from 9am-5pm. More than 80 exhibitors will be there handing out free samples and showing off the latest and greatest in running gear, sports apparel and nutrition. On Sat., come out for the live music on S. Salisbury St. directly in front of the convention center. Bands will be on stage from 11am to 6pm, and beer vendors will be onsite as well. The weather forecast is terrific–you won’t want to miss out. 5. How do I keep up with everything going on this weekend? Well, social media is your best bet. On Twitter and Instagram, check out the hashtag #RnRRAL. Post your photos and updates using that to get in on the action. 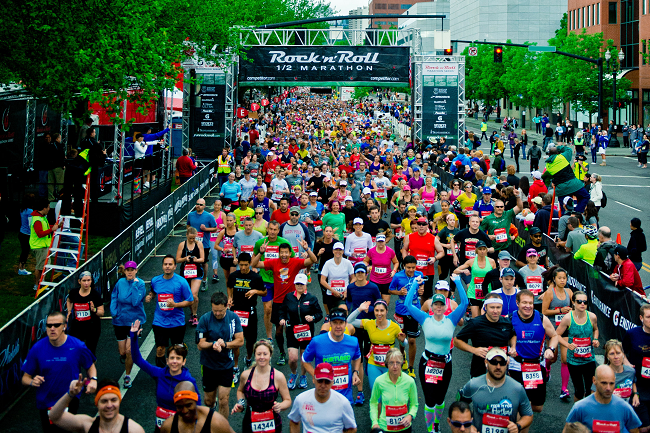 Follow @runrocknroll on both Twitter and Instagram, and check out their Facebook page if that’s your thing, too. Locally, follow the Greater Raleigh Sports Alliance on Twitter at @raleighncsports and the Greater Raleigh Convention and Visitors Bureau at @visitRaleigh.